“The Sea Also Rises- The Emperors of the North Watch the Clock” art print NOW AVAILABLE! 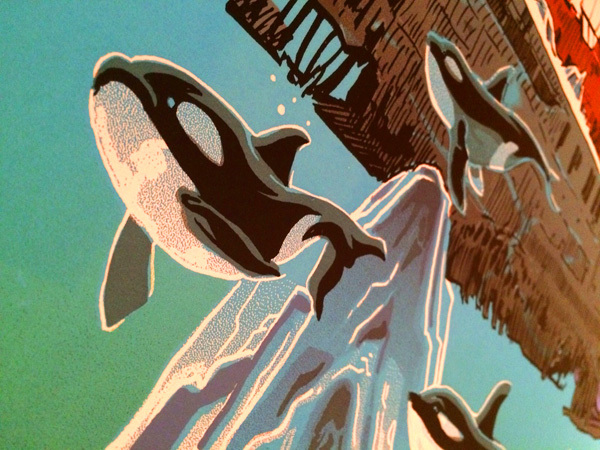 The newest print in the ongoing ‘Sea Also Rises’ series by artist Tim Doyle is up for sale HERE in the Nakatomi store! 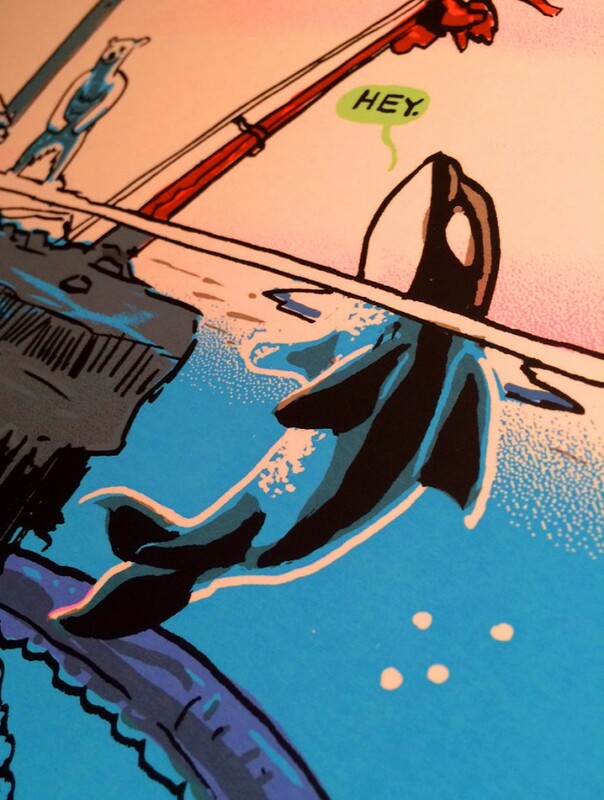 Originally commissioned by PangeaSeed in Hawaii, Nakatomi is releasing artist’s copies from the original run of just 150 copies! 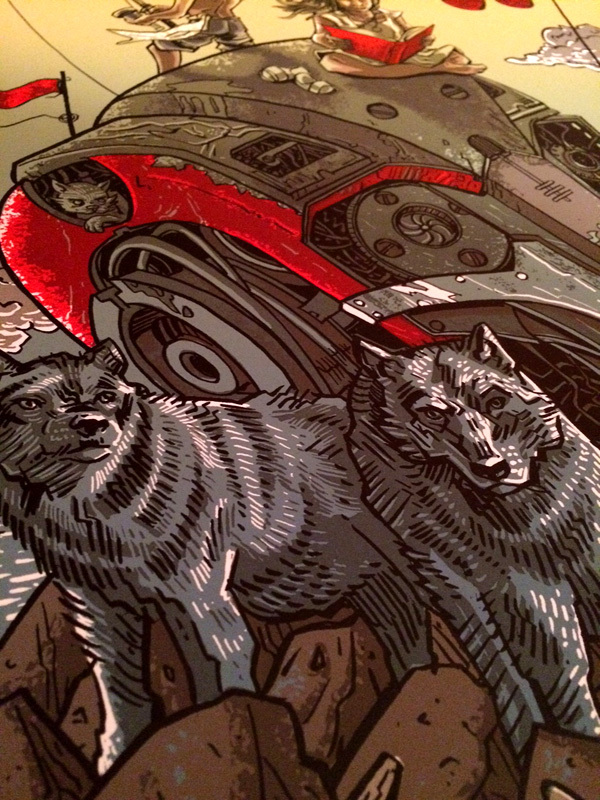 This 7-color hand-printed silkscreen poster measures 16×36 and is printed on Classic Crest White paper. Take a look at some of the detail shots below! 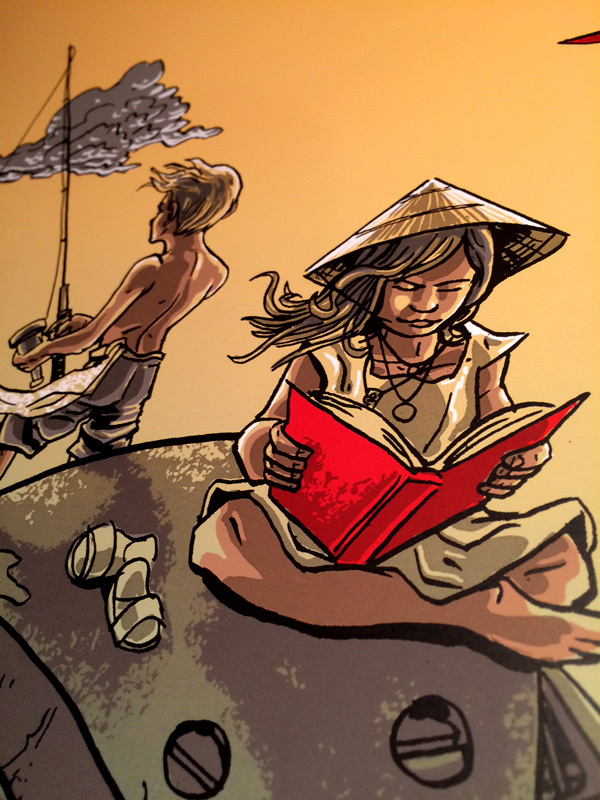 Prints are in hand and ready for immediate shipment HERE. 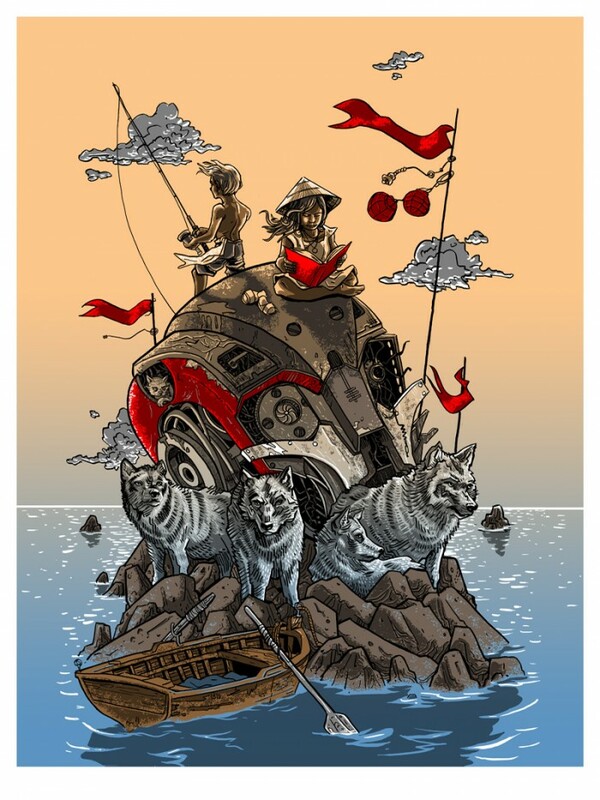 We have a brand-new edition of the sold-out ‘The Sea Also Rises: The Wolves of Mekhead Island’ in a much more framing-friendly 18×24 size, with cleaned-up art and more saturated colors than the previous edition! 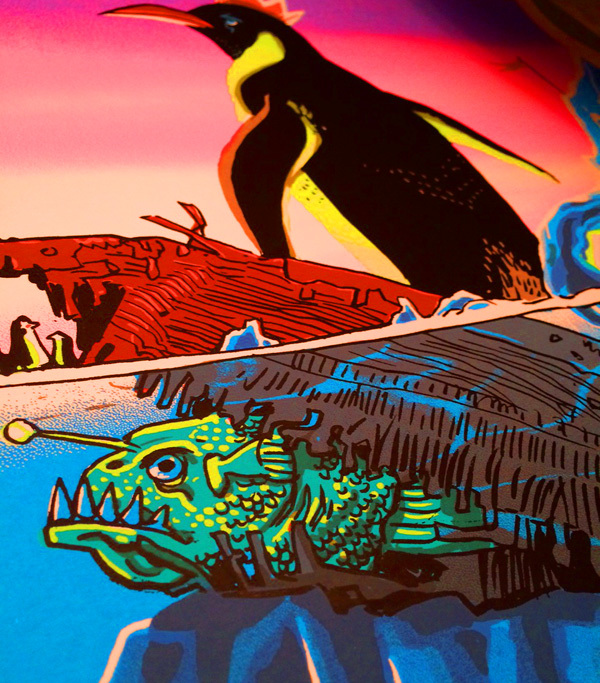 “Mekhead Island” is a hand-printed 6-color 18×24 print signed and numbered by the artist in an edition of 150. Print is in hand and ready for immediate shipment. Pick one up HERE. Both prints are in hand and ready for immediate shipment. Other shops might make you wait- but we here at Nakatomi are ON IT. And by “IT” we mean our local USPS driver. We’re on him. Holding him down. Calling him names. Mostly that name is ‘Felicia’ but that’s irrelevant. Where were we? ← “SAGA” and “Jake and Elwood” by Doyle- artist copies now available!